Mark your calendar and sign up to attend "Crossing the Columbia River Bar," presented by Captain Ron Micjan, CDR Ft. Vancouver US Power Squadron and owner of Columbia River Marine Assistance. Topics will include, Tides and Weather, Geography of the area, Resources, Hazards and Planning. The class will be held from 0900-1300 hours on Saturday, February 28, 2015. Cost is $35, with payment at the door. You must register to attend, as class size is limited. Be sure to arrive early to sign in. There will also be representatives from Fish and Wildlife and the USCG for question and answer sessions. PRE-REGISTRATION IS REQUIRED! Send email to Deputy Todd Baker, CCSO River Patrol at ccsomarine@clark.wa.gov to confirm your registration. We have received our second entry for 2015, from Bill Jones of Nanaimo, BC. This will be Bill's third Oregon Offshore on Ion, a Beneteau 43 rating 105, and in 2016, they're planning on participating in the Vic-Maui. First 2015 Entry on the Books! The first entry for this year's race came in this week... 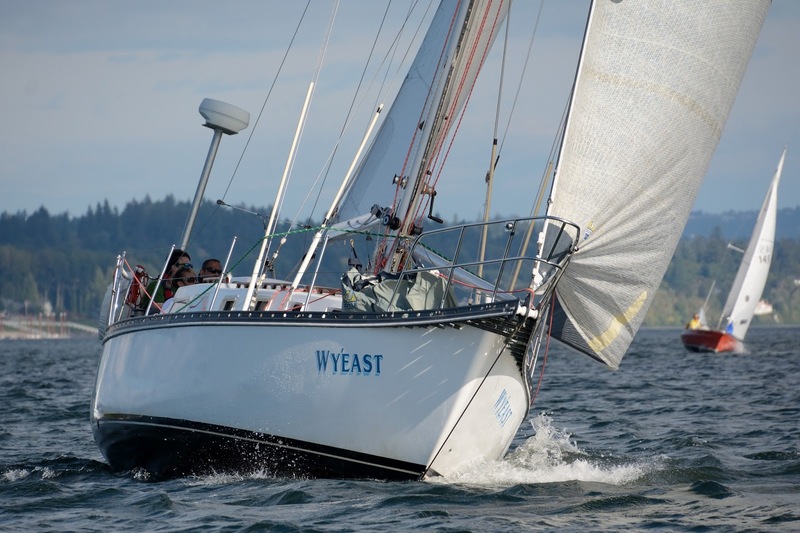 It's from none other than CYC's Wy'East, skippered by Frank Colistro of Portland, OR. This boat's a Cascade 36 with a PHRF rating of 153. Wy'East holds the record for the most years completing the Oregon Offshore, 20 years so far! We're told there are at least a couple other entries in the mail, so check back soon for updates. 2015 Race Packet is Ready for Download! We have posted the Race Packet (with Notice of Race, Entry Form, Skipper Waiver, and Crew List) and Safety Equipment Requirements for the 2015 Oregon Offshore! Send your entries in early to encourage participation. And email us at oregonoffshore@cycportland.org if you have any questions. Safety at Sea - Registration is open for the Portland seminar! Registration is now open for the March 14 Safety at Sea seminar in Portland. Oregon Offshore racers may register now, and the registration will open for the rest of the sailing community next week. Spaces may be limited, so don't delay your registration! The class is for a one-day Safety at Sea seminar, which will qualify you for the Oregon Offshore's requirement (two crew per boat, or 30% of each boat's crew, whichever is greater). The venue will be in Portland, but exact location and time for the seminar should be announced in a couple weeks. NOTE: Vic Maui, Pacific Cup, Van Isle 360 or other international offshore races will require a two-day course. To register for the seminar in Portland on March, click here. If you encounter any problems, please contact Nicole Sirois. 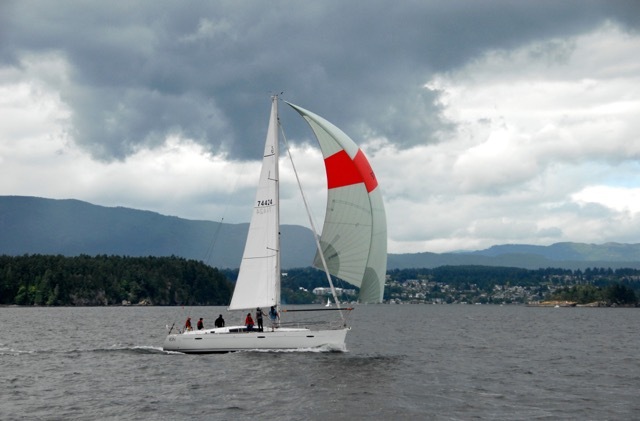 Additionally, the West Vancouver Yacht Club has added one more seminar, which is offered by Sail Canada and is an ISAF-approved two-day course. The dates will be Sunday and Monday, March 1-2, and you can find more information here. Advance registration for this class is available for 2015 Oregon Offshore and Van Isle 360 racers here. The other seminars offered by Sail Canada at WVYC are now full, so register early for this last two-day seminar before the Oregon Offshore in May 2015! General registration will open January 26. We hope you can find a class that works for you!